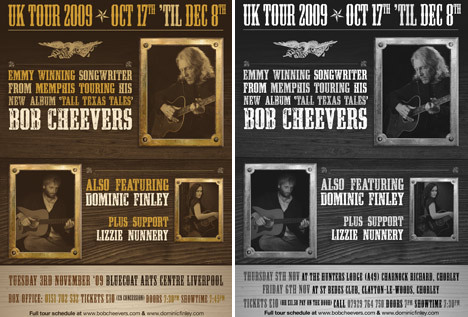 Just a quick post about a poster design I recently produced for the Bob Cheevers tour, which also featured Dominic Finley and Lizzie Nunnery. 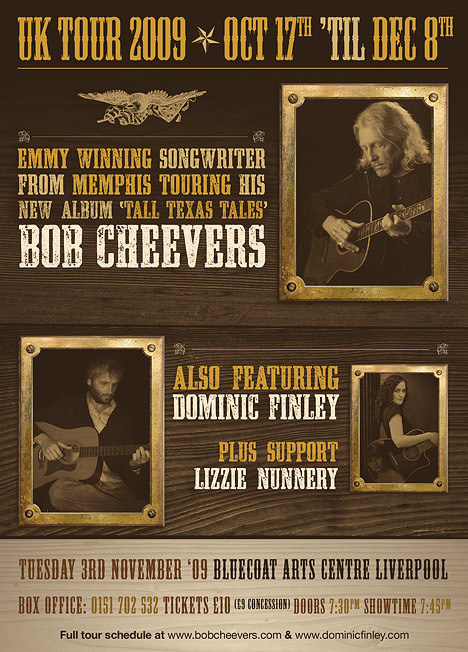 My last post was about the CD Sleeve I designed for Dominic—and this poster was done straight after to announce that he was touring with the other two musicians. 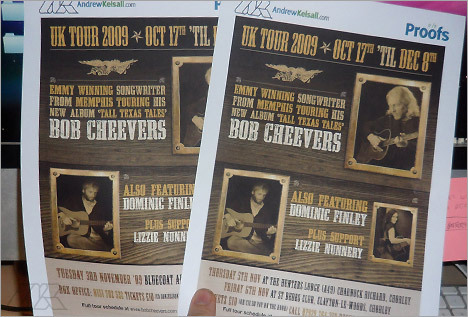 ◥ These PDF Proofs show two versions of the poster design, which announce varied dates and venues. ◥ The posters were supplied in three [European] sizes (A3, A4 and A5)—and also in black & white. Notice that the B+W one isn’t just a direct copy of the coloured one converted to greyscale. I individually lightened the text shades so the whole thing looked sharp and legible.